In this podcast we explore using the popular song Castle on the Hill by Ed Sheeran in an English class. We look at the use of tenses in the song – especially past simple, used to/would + infinitive, and present perfect. Don’t forget to subscribe and leave a review on iTunes! Thanks! 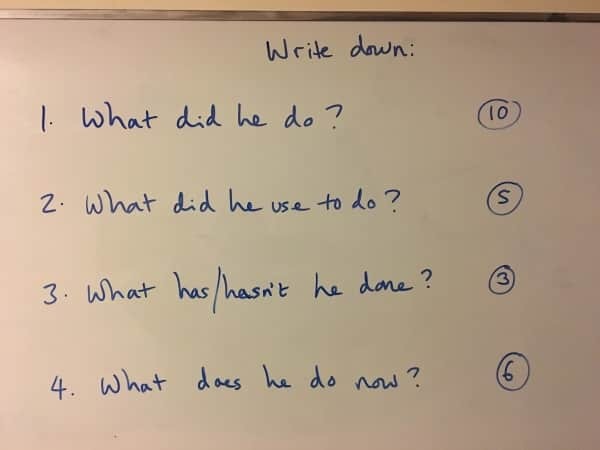 This entry was posted in EFL, ELT, English, ESL, ESOL, Grammar, Lessons, Listening, Music, Podcasts, Song, Teacher Training, Teaching, Video Lessons and tagged Castle on the Hill, Ed Sheeran, grammar, improve, learn, lyrics, past simple, past tense, podcast, podcasting, present perfect, study, teach, tenses, used to, would on March 4, 2017 by admin.